Apple CarPlay lets owners access their iPhone’s functions directly from the XC90’s Sensus Connect system. 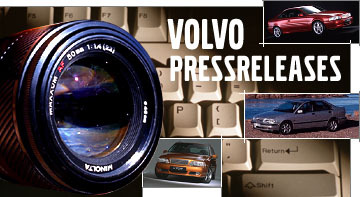 Also gives access to Volvo On Call and third-party apps. Available now on D5, T6 and T8 versions. Volvo Car UK has enhanced its in-car connectivity offering for customers by announcing the roll out of Apple CarPlay to its award-winning XC90 range. 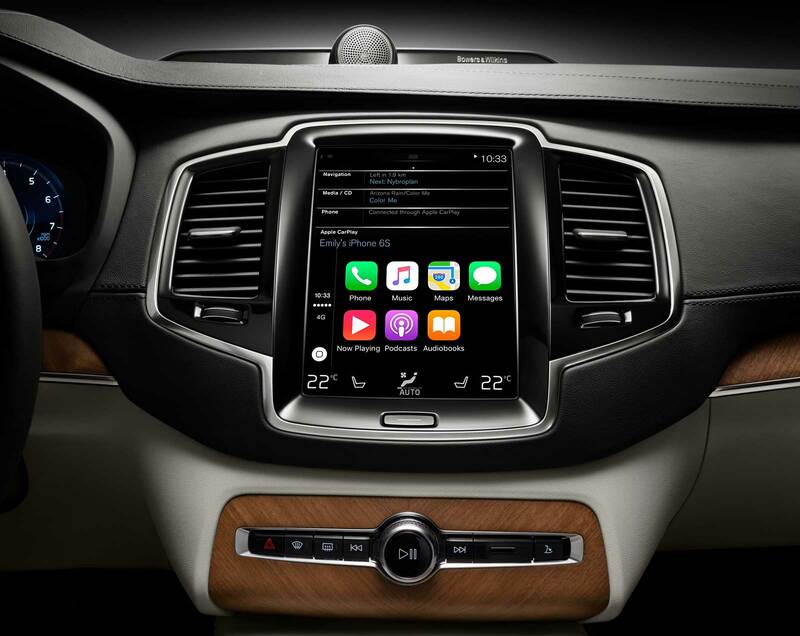 Apple CarPlay enables owners to directly connect their iPhone to the XC90’s Sensus Connect information and entertainment system. They can then make and receive calls, send and receive messages, get directions and choose what music to listen to by using their phone’s Siri voice control personal assistant – which allows them to keep their eyes on the road at all times. Alternatively, the Sensus Connect’s intuitive touch screen interface can be used to mirror their iPhone’s functionality by replicating the phone’s icons on the infotainment display. Apple CarPlay also provides access to Apple Music, and apps such as Spotify, Beats Music, iHeartRadio and Stitcher. Volvo-designed apps are also supported, including Volvo On Call, which allows customers to remotely control and check various functions of their car. The introduction of Apple CarPlay coincides with a complimentary software update for the Sensus Connect system. This brings improved speech functionality and enhanced satellite-navigation features, including a map update. Existing XC90 owners will be contacted by their dealer to have the Sensus Connect update carried out. Apple CarPlay is available on all new XC90s, priced at £300 on D5 and T6 versions, and £250 on the new T8 Twin Engine. Existing XC90 owners can also have Apple CarPlay retro-fitted to their car. It works on all iPhone models from the iPhone 5 onwards running iOS 8 (iOS 9 is recommended, however).